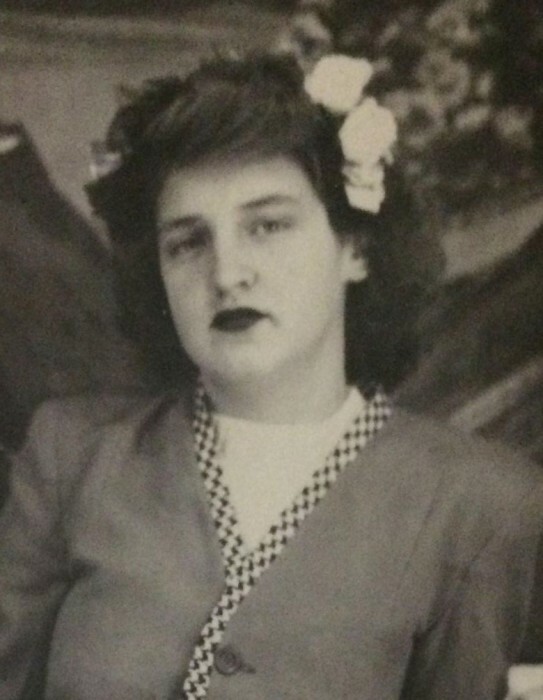 Obituary for Betty Sue (Whitaker) White | Hardy & Son Funeral Homes, Inc.
Betty Sue White, 85, of Oakland, KY, passed away on the night of March 26, 2019, at Jennie Stuart Medical Center in Hopkinsville, KY. Betty was born in Bowling Green, Kentucky, to the late Thomas Whitaker and Earline Tibbs Whitaker. She worked as a waitress and hostess at College Street Inn and was a member of the Faith Assembly of God. Betty was preceded in death by a son, Ronnie White; a brother, Buddy Whitaker; a sister, Alyne Allen; and a grandson, Chris White. She is survived by daughters, Joyce Tibbs (Jack) and Peggy Thomas (Larry); and a son, Richard White (Cindy). She is survived by 11 grandchildren: Mike Tibbs (Christy), Melissa Gibbs, Anita Rives (Brooke), Josh White (Emily), Tosha Hines (Michael), Brittany White, Jennifer Stephens (Jeremy), Matthew White (Meagan), Shelby Pinet (Daniel) and Lindsay White. She is also survived by 22 Great Grandchildren: Krissy Colwell (JP), Austin Tibbs, Haley Tibbs, Caraline Tibbs, Dawson GIbbs (Cateryn), Nicki Gibbs, Gabe White, McKaila Rives, Mali Rives, Mason Rives, Maggie Rives, Mia Rives, Ellie White, Ewan White, Jake Hines, Tate Hines, Chloe Cassady, Maddie White, Grant White, Ethan Pinet, Logan Pinet and Riley Pinet. She was also blessed to have four great great grandchildren: Jaxson Colwell, Caiden Colwell, Jayden White and Gunner White. Other survivors include: Brenda Long, sister; Jennie White, daughter-in-law; and several nieces & nephews. Visitation will be held at Hardy & Son Funeral Home, Bowling Green Chapel, on Friday, March 29, from 11-2; with services to follow at 2:00 p.m. Burial will be at Bethel Cemetery on Porter Pike. In lieu of flowers, donations can be made to the funeral home to help with expenses.